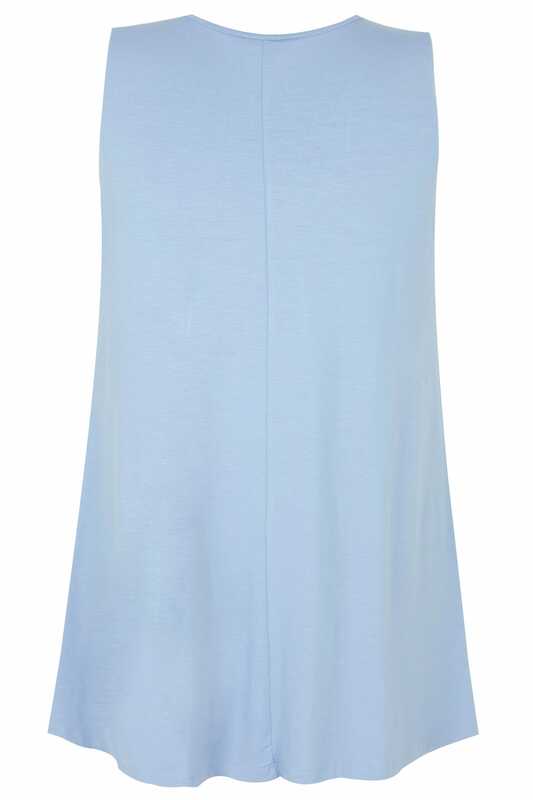 Made from a comfortable jersey fabric, this stylish sleeveless top features a slight flare to the hem for a flattering swing finish. 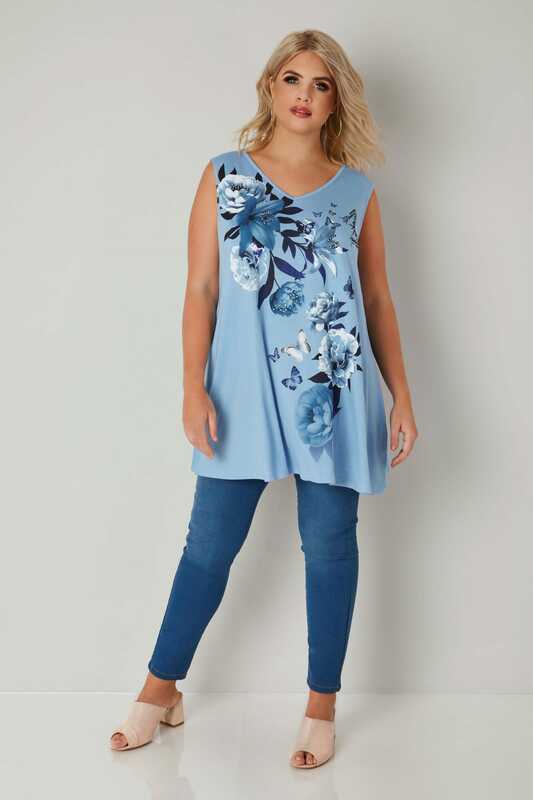 Ideal for everyday and weekend wear, team with skinny jeans and pumps for an on-trend look. 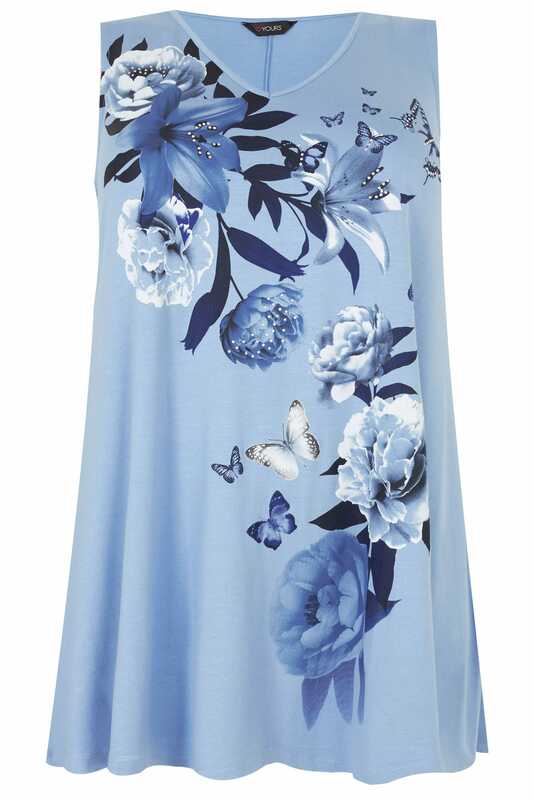 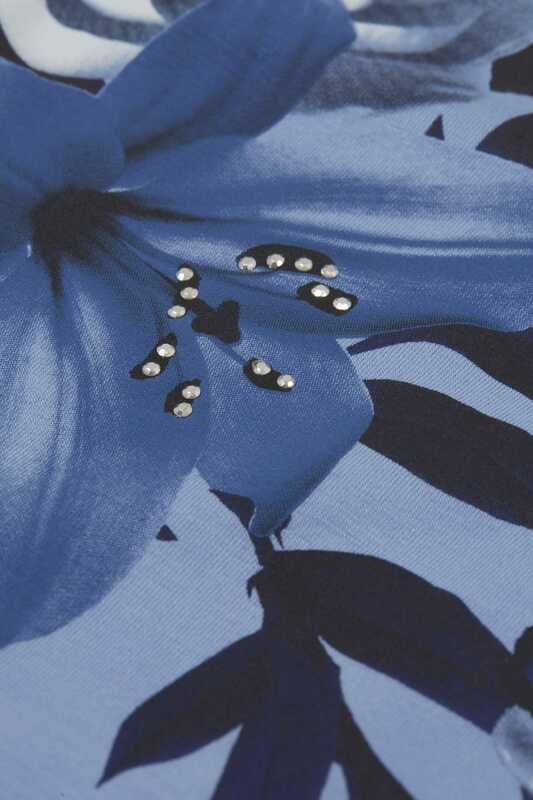 We love the blue floral design.